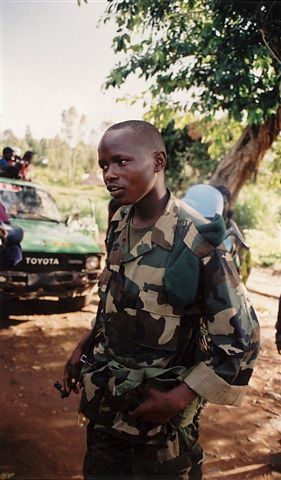 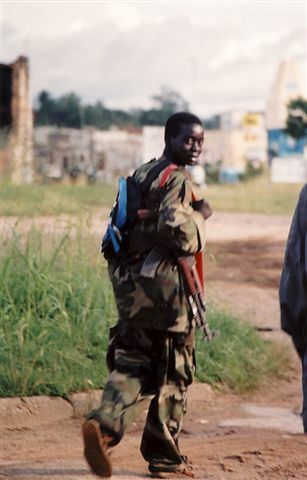 Congo's Child Soldiers-- In 2003, I reported on the civil war and genocide in eastern Congo(the former Zaire). 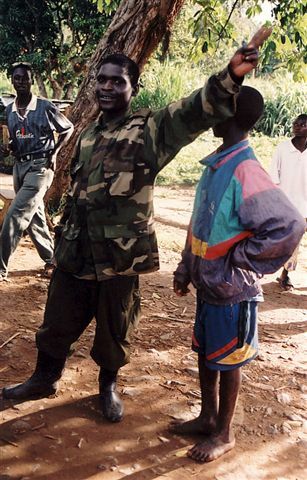 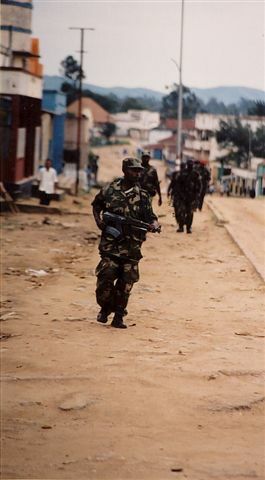 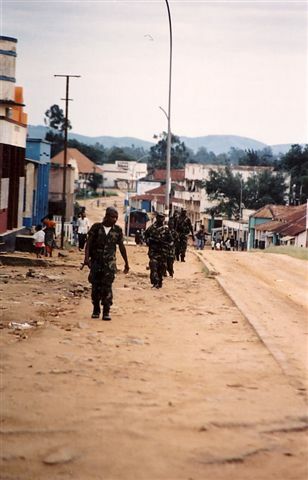 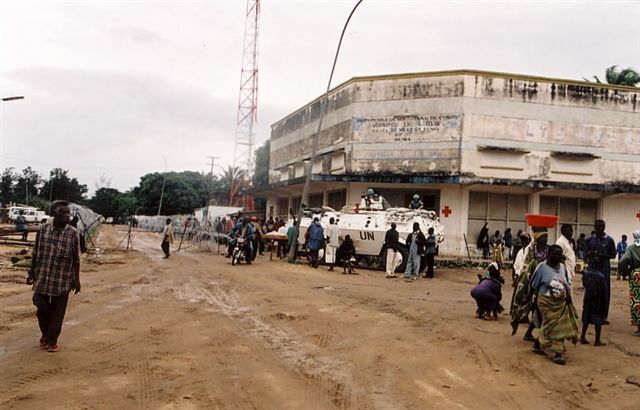 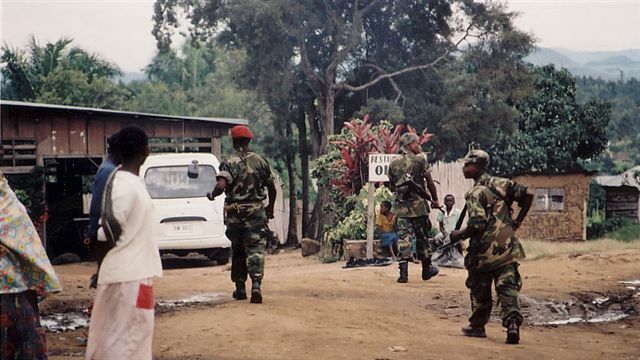 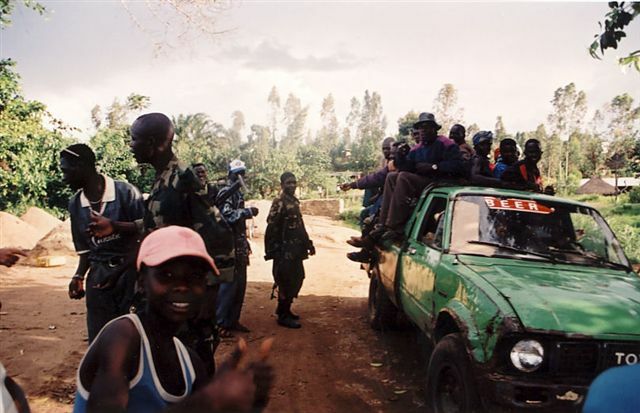 These photos show scenes of the town of Bunia, taken over by the Lendu rebel group; most of the rebel soldiers were children. 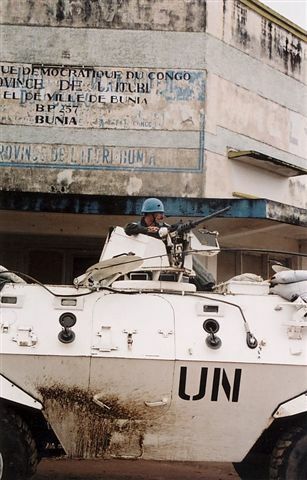 U.N. forces were present as observers, but they weren't mandated to save anyone or stop any of the violence. 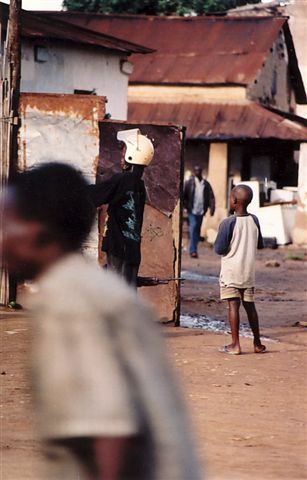 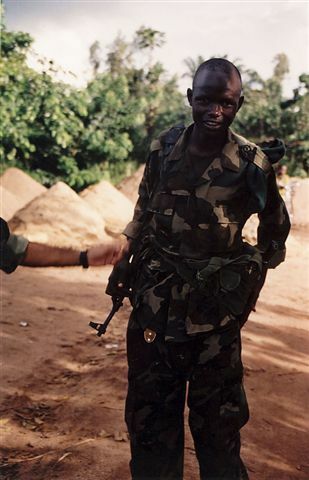 Eight-year-old Child Soldier-- The child in the helmet is carrying an AK-47. 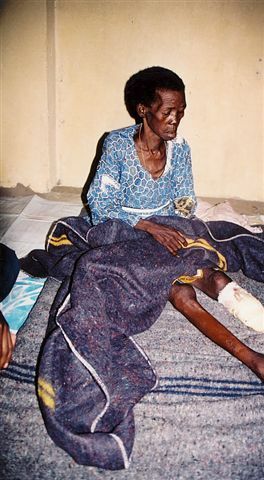 Victims of Congo's Genocide-- Thousands of people were shot, raped, or hacked to death. 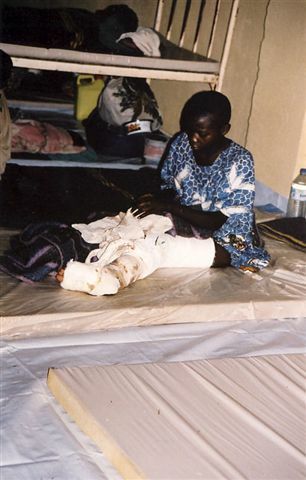 Women and children were the most common victims. 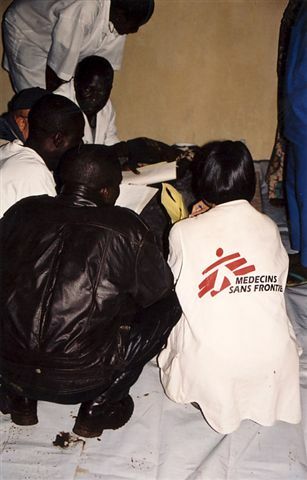 Doctors Without Borders saw hundreds of patients each day and barely had the room or resources to handle the unending influx. 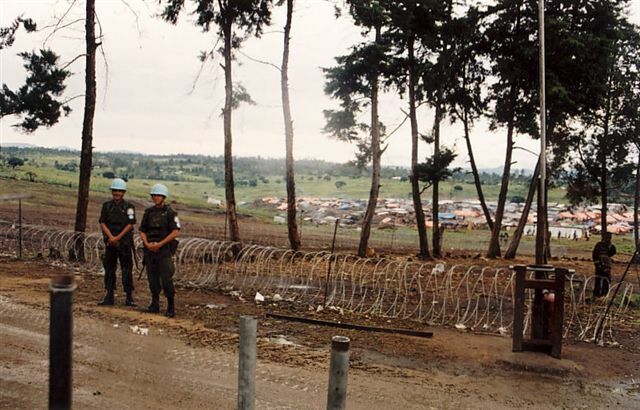 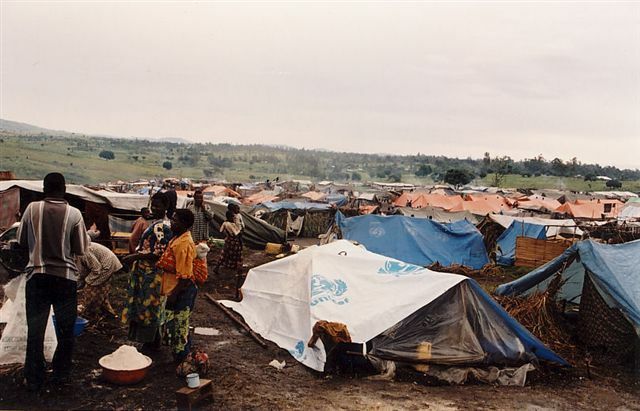 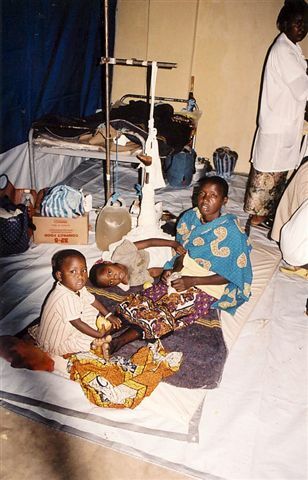 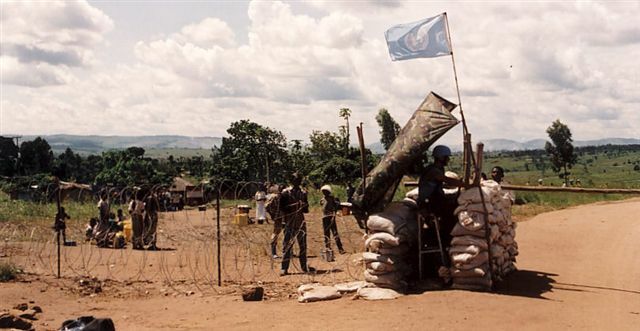 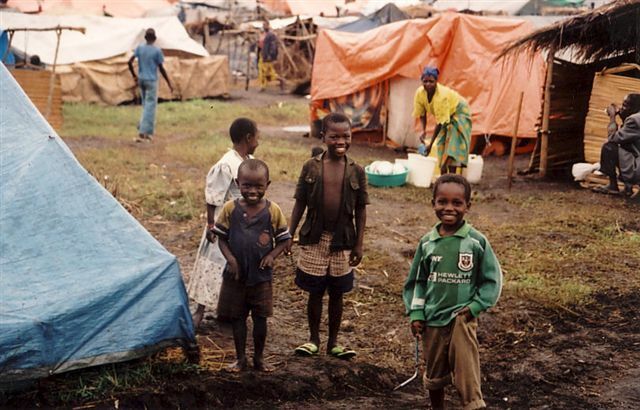 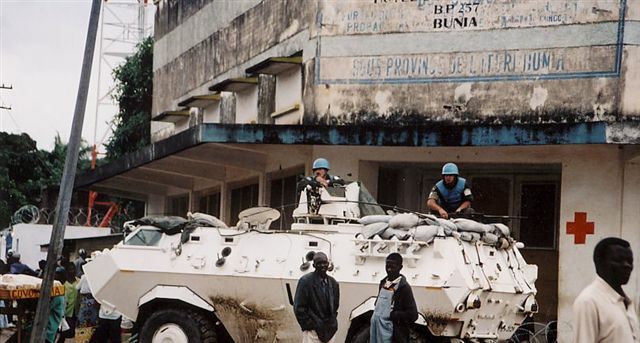 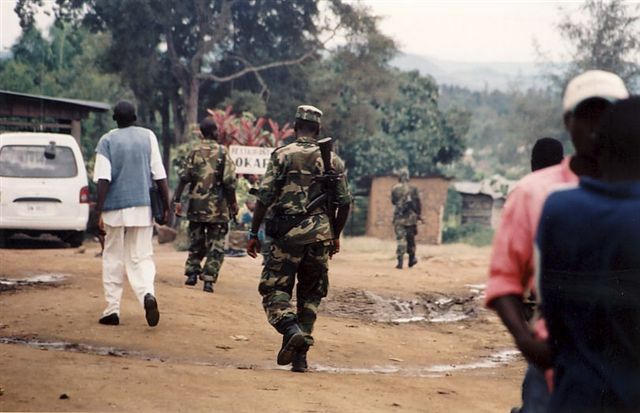 Bunia's Refugee Camp-- The U.N. set up refugee camps for the victims of Congo's genocide. 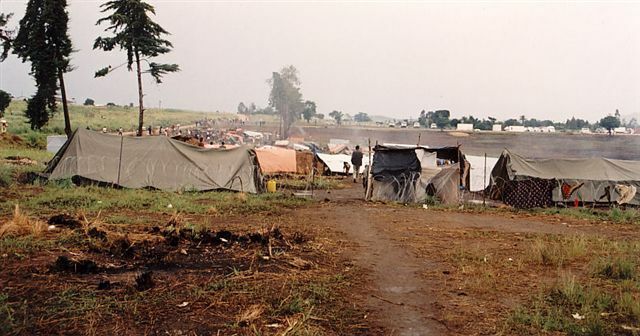 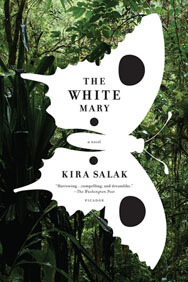 The camps were rife with cholera, and people died by the thousands. 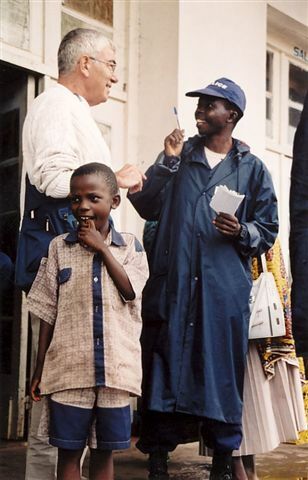 Brave Souls-- Father Jo and Father Mol were two Belgian priests I met, who lived in Bunia during the worst of the violence. 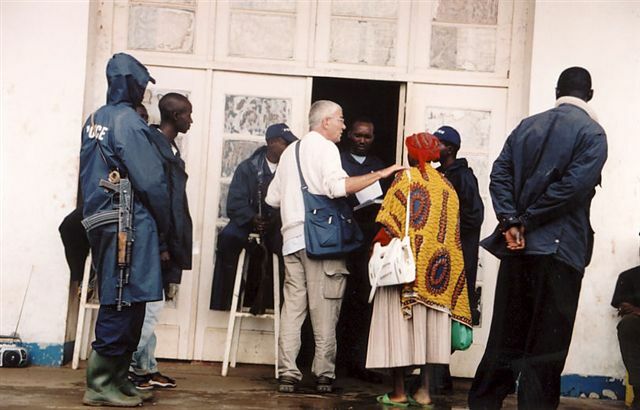 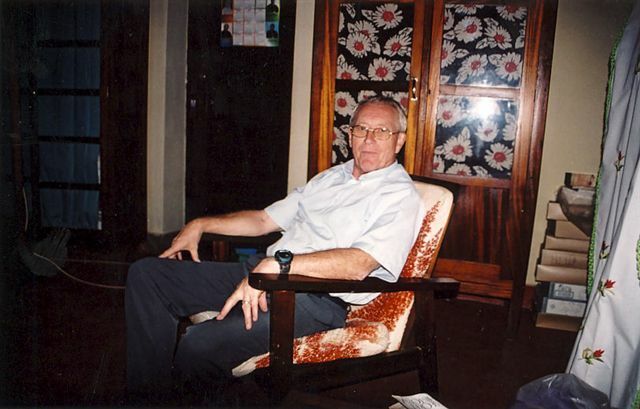 They risked their lives in order to help victims of the genocide.